Shooting People » Ben's Blog » Sound & Fury. There are many false truisms about making films. Usually pithy, tough sounding aphorisms that reek of machismo and defy challenge like “No one knows anything” (obviously not true) or “Kill your darlings” (speaking as a father this is definitely questionable). Perhaps the most bankrupt is “If you want to send a message use Western Union”. Attributed to, amongst others, Humphrey Bogart, Marlon Brando, Dorothy Parker, Ernest Hemingway, George Bernard Shaw, and Samuel Goldwyn, it’s a dictum used to warn against explicit sermonising in art (which makes Bernard Shaw and Brando unlikely originators). Whilst usually employed in the noble task of encouraging writers to avoid being monotonously didactic it nevertheless makes my teeth ache. Stories have a message. It can be simple, obvious, incoherent, unwitting or contradictory but all films eventually implore the audience to reach some conclusion about their events. Films are also an astonishingly powerful delivery mechanism. 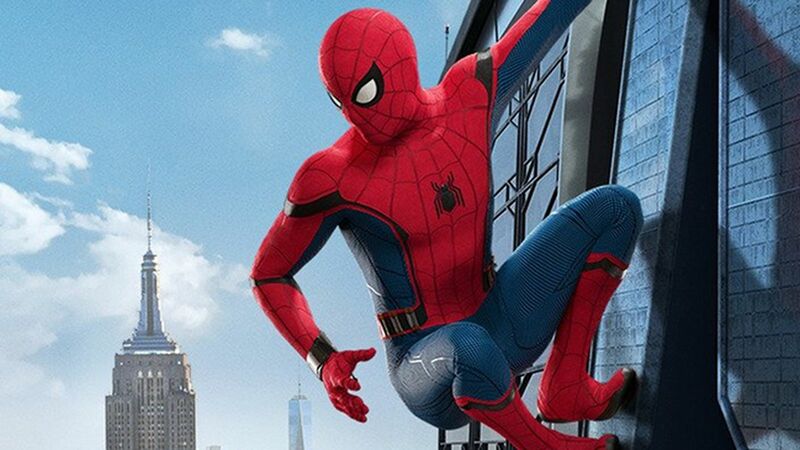 I mean despite the best rhetorical efforts of Voltaire, Lord Melbourne, Winston Churchill and both Presidents Roosevelt, to date it is definitely the Spider-man movie franchise that has been the most successful method of promulgating the idea that “with great power comes great responsibility”. I have though recently noticed a seam of nearly apolitical films. This is especially surprising since many at first glance appear to be the heirs of British cinema’s long tradition of very overtly political social realist cinema. I am not going to call out specific films or filmmakers because I’m less interested individual cases than considering the general cause. However, I’m referring to a number of films from recent years that use all the genre trappings of the films of Loach or Leigh but that elegantly avoid ever actually meaning anything. Present are the struggling working class families, the kids who slip through the cracks, the remorselessly downbeat stories. Often present too are the towering performances from both freshly discovered untrained actors and our country’s finest character performers. They howl and crumble, haunted by demons of hard real life; these are often genuinely great performances captured in grainy film or tangy cheap video, usually beneath dirty strip lights or bathed in a saintly lens flare. Every frame assures you that you are watching some urgent message from real Britain now. Yet, unlike Ken Loach, who never once forgets to show both the actual cause and potential solution to the problems he puts on screen, these films exist in a universe without cause or effect. All too often I watch these films and they tell me that it’s hard being poor because poor people drink and gamble and take drugs and fight and cry and sleep around and abuse their kids and it’s probably ok because wild animals exist as well and that’s beautiful. These films seem angry about the lives they depict but their fury is unanchored, as if these problems were just a big awful fact we can do nothing about. With the divisions in our society more starkly and dangerously exposed than any time in the last two hundred years, our political cinema is as posturing and vacuous as our political class. By contrast American cinema is seeing a wellspring in films that are fun, populist, artistically bold and built fundamentally around social and political positions that are genuinely provocative. “Get Out”, “Sorry To Bother You”, “Blackkklansman”, all leap to mind as films that delight in entertaining whilst simultaneously grabbing the audience by the shoulders and trying to shake them awake. All films have a message and no medium is better than film at sharing one. Voltaire and Spider-man are both on the money, with great power comes great responsibility – you see, the message you send isn’t necessarily the one you intend. For many people these kitchen-sink-estate movies are still what they think of when they say “British movies”. For many the message given is that these aren’t films for you – they are films about you. The message is not that we care, but that we like to watch. I suspect youre right, Ben, first that the trend is there, second that it comes from a voyeuristic, outside-in perspective. But it would be good to have a couple of examples to look at. What I’d like to know is, how old are the writers and directors, and what are their backgrounds? Are they people who want to inject gritty urban “realism” into their work, because it lends an air of depth and meaning? But actually, how much experience of the reality of what they portray do they have, and how much understanding of or perhaps even care for the causes? Or maybe it’s not their fault. Maybe it’s the upper-middle class audiences and critics creating demand and kudos as they thrill to urban squalor like a Roman circus audience. They complain about safe upper-middle class dramas starring safe upper-middle class actors, but they’d never actually set foot in in one of those sink estates they so love to look down on.